Magento is one of the best CMS tools that are most suitable to create e-commerce websites. Many leading brands have their online markets that use Magento. The fact that it is widely used in successful websites reflects the trust Magento has gained over the years. It is suitable for all sizes of e-commerce sites. 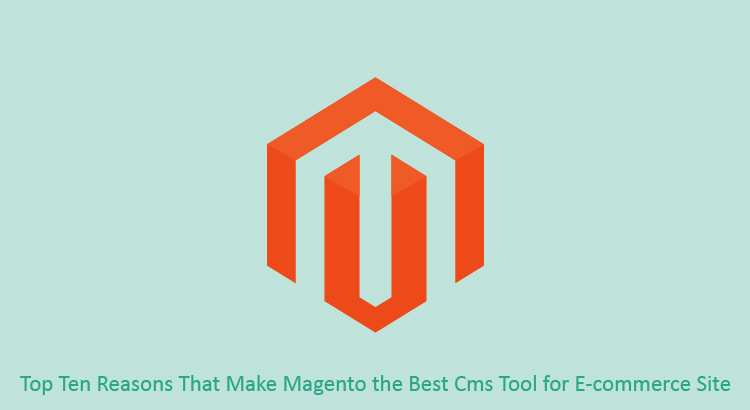 Apart from these benefits here are some other reasons why Magento tops the list of CMS tools. Other CMS tools such as WordPress cannot be as suitable as Magento for e-commerce sites. Magento has inherited the best techniques of website development that is required by an e-commerce site. The specifications and the features in Magento are specifically designed to fulfil the requirements of an e-commerce website. Magento provides support to build and maintain multiple stores in a single dashboard. Customer records, billing details, and inventory can all be controlled with the dashboard. All of these use a single backend. There may be many open source tools that may provide trial versions for free but Magento offers community edition for free. It can be installed with the ease of access to several functionalities. Users can also download the extensions available in their Connect Marketplace to use Magento more effectively. The tool is being used by a huge developer fraternity throughout the globe. So any help is instantly available from this community who are constantly working on Magento. The tool is often updated and the community maintains it as a secure and high performance tool. An e-commerce site often requires payment gateway and database support from third party tools. Magento can be easily integrated with these and even other add-on features such as order tracking can be easily developed. Users expect any website to be fast and responsive. Especially e-commerce websites have to be fast so that the users can easily shop online within minutes. E-commerce websites should have efficient caching, fast processing, and quick responses to avoid complaints from the customers. Magento being an open source system can be in total control of the developers. The design of the website can be varied according to the needs of each business. It can be tailored for individual websites through customized workflows. There are many Fortune 500 companies that have preferred Magento as their CMS tool. At the same time the ease of using the tool has made startups also choose Magento. Irrespective of the type or size of the business Magento can serve as the best CMS tool with its ability to suffice all the needs of a simple or even most complicated e-commerce website. In today’s world, online shopping is mostly done on mobile devices. So it becomes an obvious requirement to build an e-commerce website that can be compatible with mobile devices as well. The Community and Enterprise editions of Magento have several HTML5 features that make the mobile e-commerce experience more favorable. Search engine optimized websites are the need for the hour to be on top of today’s competitive world. Magento can build URLs that are SEO- driven. The description and metadata combined with efficient sitemaps and easy-to-navigate webpages make the websites more SEO- friendly. PixelSolvent.com is an expert eCommerce service provider specializing with Shopify and one of top magento development company India, also provides best web application solutions.